::(Welcome to Island Pearl Holidays - Welcome to the Sheraton Maldives Full Moon Resort & Spa, your welcoming escape from the everyday. 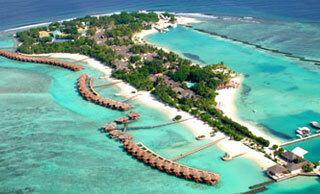 Located on its own private island, Furanafushi, in the North Male Atoll. 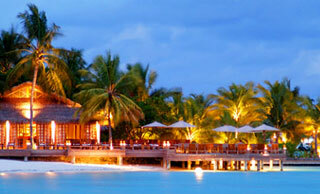 A 20 minute boat ride from Male International Airport. 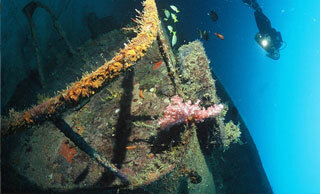 During this brief journey, guests are greeted with breathtaking views of the Indian Ocean. 44 Beachfront Deluxe Rooms - 52 sq.m: Drawing inspiration from the old colonial mansions, the Beachfront Deluxe Rooms provide a perfect combination of by gone charm and innovative design, featuring thatched roofs with shuttered windows, natural stone floors and teak furniture. All are presented with either a verandah with private garden or a balcony. Deluxe room amenities: • Individually controlled air conditioning• Ceiling fan for natural ventilation• King size bed• En suite bathroom with shower• Hot and cold fresh water• Hairdryer• Private in-room bar• IDD telephone• In-room safe• In-room coffee and tea making facilities. 55 Beachfront Cottages - 76 sq.m; Experience the plush comfort and exotic splendor of these standalone thatched cottages boasting expansive indoor living areas. Cocooned in the lush island greenery each bungalow faces the beach and features a shaded terrace and open-air bathroom set in a private garden. Cottage amenities:• Individually controlled air conditioning• Ceiling fan for natural ventilation• King size bed• Private garden bathroom with bathtub and shower• Hot and cold fresh water• Bathrobes• Hairdryer• Private in-room bar• IDD telephone• In-room safe• Satellite TV• In-room coffee and tea making facilities• CD player. 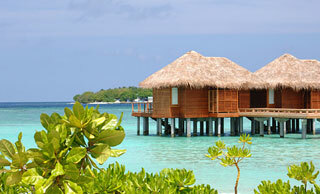 52 Water Bungalows - 54 sq.m; Set over the lagoon on stilts with a private terrace and direct access to the sea. 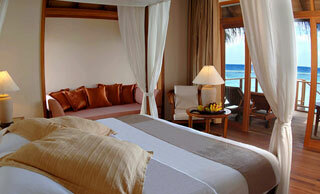 The bungalows feature a romantic four poster bed and a wide range of amenities ensuring a luxurious experience. Bungalow amenities: • Individually controlled air conditioning• Ceiling fan for natural ventilation• Four poster bed• Indoor shower• Hot and cold fresh water• Bathrobes• Hairdryer• Private in-room bar• IDD telephone• In-room safe• Satellite TV (LCD TV)• CD player• In-room coffee and tea making facilities. 4 Water Villas - 84 sq.m; Four beautiful Water Villas offering an extreme indulgence for those looking for exclusivity and seclusion. All with extended sundecks and built on stilts over water with direct access to the lagoon. Luxurious furniture, fittings and amenities underline the comfort. Water Villa amenities: • Individually controlled air conditioning• Ceiling fan for natural ventilation• Four poster bed• Indoor shower and bath tub• Hot and cold fresh water• Luxury bathroom amenities• Bathrobes and slippers• Hairdryer• Private in-Villa bar• IDD telephone• In-Villa safe• Satellite TV (LCD TV)• DVD/CD player• Coffee Machine and tea making facilities. 1 Water Suite - 149 sq.m;The epitome of gracious indulgence and seclusion the tropical surroundings blend perfectly with the individual design of this Water Suite. 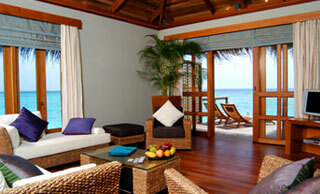 Exclusively furnished, featuring one bedroom, a living room and private sun deck with Jacuzzi. Perched just above the ocean, the sea is at your doorstep inviting you to take a morning dip or sunset swim. 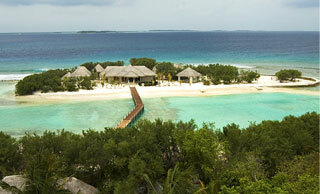 Pure elegance surrounded by nature with an incredible view overlooking the turquoise lagoon. • IDD telephone• In-Villa safe• Satellite TV (LCD TV)• DVD/CD player• Coffee Machine and tea making facilities. Our large variety of restaurants, lounges and common areas are the perfect place to gather together with friends or family to share a meal, drink or relaxed conversation. Whether you prefer Thai, Mediterranean, international or local grill delicacies, feel reassured we have a restaurant to suit all tastes, complemented by caring service from our dedicated team. 24-hour Reception Multilingual Staff• In-Villa Dining• 24-hour Laundry Service• Foreign Currency Exchange• Childcare Service• Internet Access• Island Doctor• Internet Domain • Island Boutique• Meeting & Conference. AQUM SPA offering a range of massage, health and beauty treatments• SCUBA Diving – PADI certified• Water Sports Centre offering – Snorkeling – Windsurfing– Catamaran Sailing• Fresh water swimming pool with children’s splash pool• Fitness centre• Table Tennis• Floodlit Tennis court• Snorkeling Excursions• Sunset Cruise• Sunset Dolphin Cruise• Sunset Fishing• Male Shopping• Island Hopping (half and full day)• Sunrise Picnic • Seaplane Photo Flight• Big Game Fishing• Glass Bottom Boat.